Another semester, another final exam week that takes me completely by surprise. It’s like I never expect that the lessons are actually leading up to something. I guess I just thought they’d drop off anticlimactically and then we could all go home. I screwed myself over just a tad by not reading half the books for one of my classes. (In my defense, I was busy reading the books for other classes, and Super Mario Sunshine wasn’t going to play itself.) This particular final exam is the last one I have to take, so I’m going to spend this entire week power-reading one book a day. It’s exactly the kind of crazy, desperate plan you’d only put into action if you were an English major with poor time management skills and a weakness for Super Mario Sunshine. Whenever it snows, I’ll excitedly take a picture and text it to my mom. The part of the state where I go to school doesn’t accrue quite as much snow as I’m used to, so whenever we get a dusting of it, I’m disproportionately excited. She knows this. IT’S NOT A COMPETITION, MOTHER. (Not one that I can win, anyway.) I can’t wait to go home. I’M COMING, SNOW. I have boots that are going to look really good as I trudge through snowy parking lots and spill hot chocolate on things! Don’t melt before I get there! 50 DAYS UNTIL CHRISTMAS, EVERYBODY. Chocolate oranges. I’ve learned over the years to just buy them for myself, wrap them, and then put them under the tree, because my family drops the ball sometimes, and then Christmas is ruined. Chocolate crinkle cookies. There’s a Mennonite community near where I live that makes the absolute best chocolate crinkle cookies. If I could harness their abilities and make my own, I would do it. But alas. 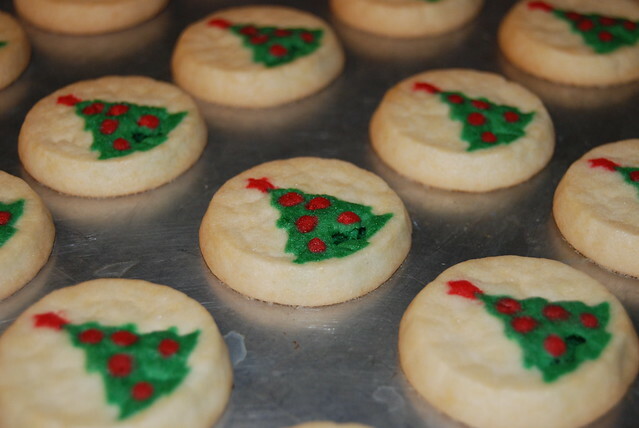 THOSE PILLSBURY SUGAR COOKIES. I AM ALREADY DROOLING. So basically, everything I love about the impending holiday season revolves around food. I can’t read your mind, dude! WHAT DO YOU WANT FROM ME? On the plus side… TOMORROW IS DECEMBER. If you’ve ever wanted to watch a girl’s downward spiral into insanity, behold the following example. When my friend posted on my wall, “There’s Christmas music on the radio! It makes me think of you!”, I simply liked it and went about my day. When another friend texted to say, “I heard Christmas carols while I was shopping, and it reminded me of you,” I texted back a smiley face. But when my dad called to say, “There’s Christmas music on the radio, and you’ll never guess who I thought of…”, I had reached my breaking point. I took his perfectly nice conversational opener and turned it into a psychotic trigger; I shouted, “OH MY GOD!” and collapsed into a puddle of my own self-inflicted misery. Ten days until December. Five until my No Christmas Carols Before Thanksgiving ban is OVER. I can do this. I can do this. When microwaves are aflame, we figure out what I truly value in life. Last night some of my hall mates accidentally set their microwave on fire. I could tell it was them because I heard variations of the phrase “OH MY GOD, WHAT HAVE WE DONE” right before the alarm started blaring and a disembodied voice instructed us to evacuate immediately. I put two dollars in the No Christmas Carols Before Thanksgiving Jar, because a) I watched this really catchy Kohl’s Christmas advertisement online, and it was so catchy I played it again, and b) I listened to Justin Bieber’s “Mistletoe,” which I don’t really consider a Christmas carol per se, but I had to penalize myself for enjoying it.